Update. Officially not Ebola, definitely a malaria case! A 51-year old Romanian guy returns from Nigeria some 2 weeks ago. Nobody bothers to check him or his medical condition even if the Ebola outbreak dates back prior to his arrival. The man gets to go on holiday at the seaside and today he even queues outside the hospital accusing symptoms similar to Ebola. For two weeks, the guy wanders around the country, meets and greets family or friends, and only today checks in at the hospital. 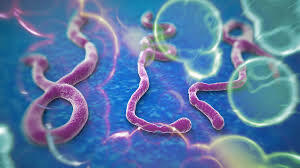 The lab tests confirming or not Ebola will only be available after 72 hours since Romania does not have a lab facility to run such tests. Some days ago, the health officials assured the population that an Ebola virus outbreak in Romania is unlikely. It takes 72 hours to find out. This entry was posted in International Affairs and tagged ebola, ebola romania. Bookmark the permalink.